Barcelona, the capital of Catalonia, Spain, is a charming seaside city steeped in culture and fabled architecture. Her renowned culinary landscape attracts tens of millions of visitors every year. Many masters of Iberian gastronomy, including Albert Adrià and Carles Abellan, were born here. Both chefs have played leading roles in the long and celebrated tradition of Catalan cooking, where simple and tasty ingredients are transformed into remarkable delicacies and served in enchanting settings. 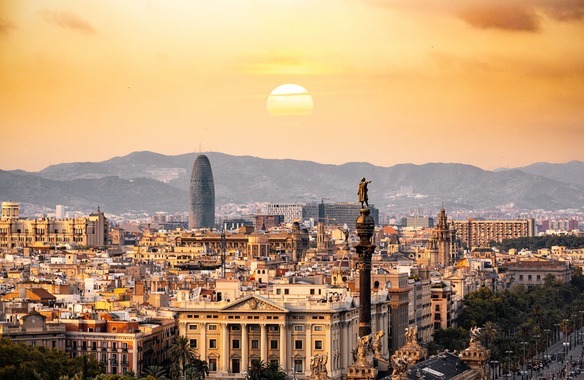 Sited between the sea and mountains, Barcelona is split into barrios perfectly spaced to explore on foot; the ideal scenario to savour the taste of Catalonia in traditional tapas restaurants, accompanied by a glass (or two!) of the city's drink of choice, Cava. In the heart of the vibrant Raval neighbourhood, Bar Cañete's menu is homage to the best of regional Spanish produce. It is often featured in foodie guides and deservedly so; be sure to arrive with an empty stomach and a full wallet! In Barcelona's Born district, Tapeo del Born neighbours the world-famous Picasso museum and sits on one of the barrio's narrow, medieval streets. Their cuisine is self-proclaimed as being 'a tribute to the frying pan, combining traditional flavours with a desire to experiment and surprise'. Loud, lively and full of foodies, Cal Pep is arguably one of the worst-kept secrets in Barcelona…and serves up the best tortilla in town. Elaborate and experimental tapas from Catalonian Carles Abellan, a Michelin-starred chef widely-acclaimed for revolutionising the tapas scene. Tapas 24 opened in 2007 following Abellan's first restaurant opening in Barcelona, Comerç 24, in 2001. Every day over 400 guests visit the tapería, testament to the tastiness of its menu. Modern market cuisine with Asturian roots, trendy Llamber opened in 2012 and sits directly opposite the popular Mercat del Born. The dishes and experience are to share, a fusion of Asturian and Catalan classics - and cultures. 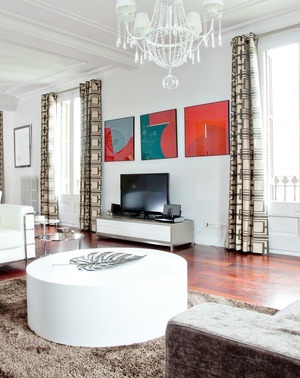 Barcelona blends old with new, traditional with avant-garde. From the sea to city, Gaudi's La Sagrada Familia to Jean Nouvel's Agbar Tower, it holds a formidable balance…and its gastronomy is no exception.